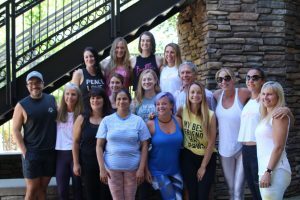 Congratulations Breathless Yoga Teacher Training 2018 Graduates! Congratulations to our Breathless Yoga Teacher Training 2018 graduates! Together they will be spreading the love, shining their light and getting breathless everyday! Thank you Diana Vitantonio and Natalie Martines for mentoring these beautiful souls!